The interfaces must be installed on the computer where the serial connections from the 3rd party devices are made. This should be the PMS server if possible because it will avoid permission and timing issues. 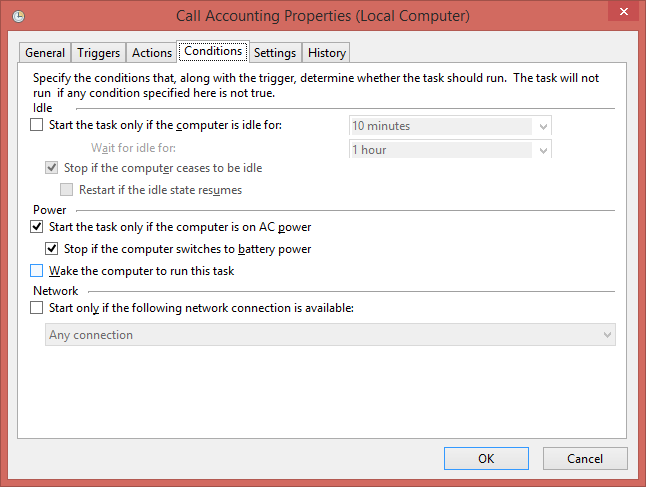 If it's not possible to connect the interfaces to the PMS server, an interface PC can be set up. 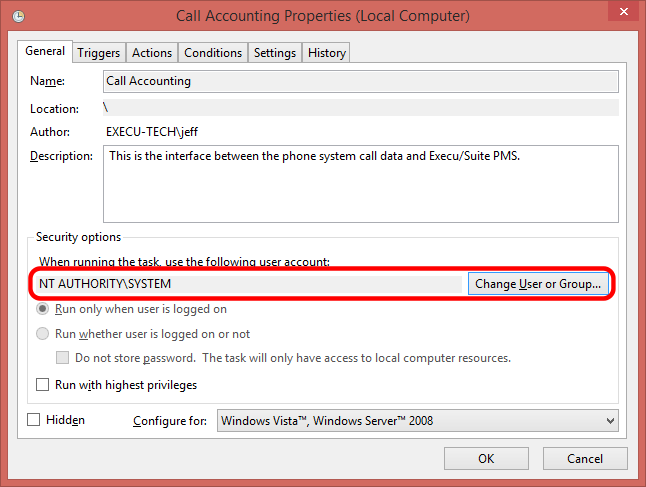 It must have a reliable network connection and a user must be configured that has full permissions to the PMS software folder. 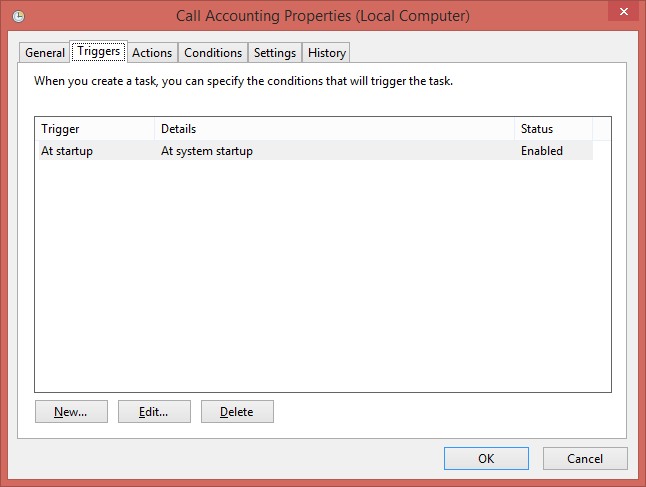 This video shows how to create a scheduled task, on your server, for our older interfaces like Call Accounting, PBX, Voicemail, etc. 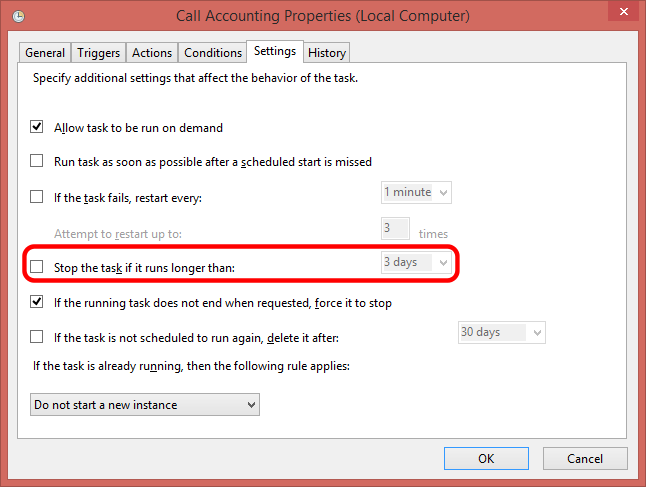 You should call for help if you find yourself needing to create new scheduled tasks for your interfaces. 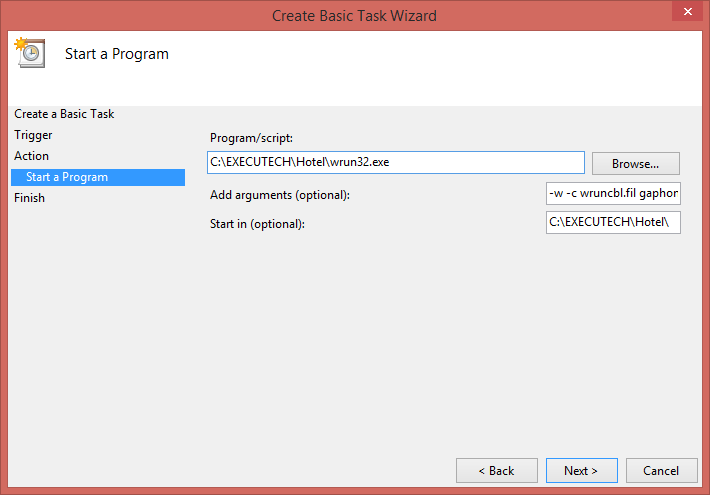 Open the Task Scheduler, select the Task Scheduler Library folder on the left, then click Create Basic Task on the right. Give the task a Name and Description. Make it clear and easy to understand. Something like, "Call Accounting," "Voice Mail," or "Avaya PBX." Make sure the Trigger is, "When the computer starts." 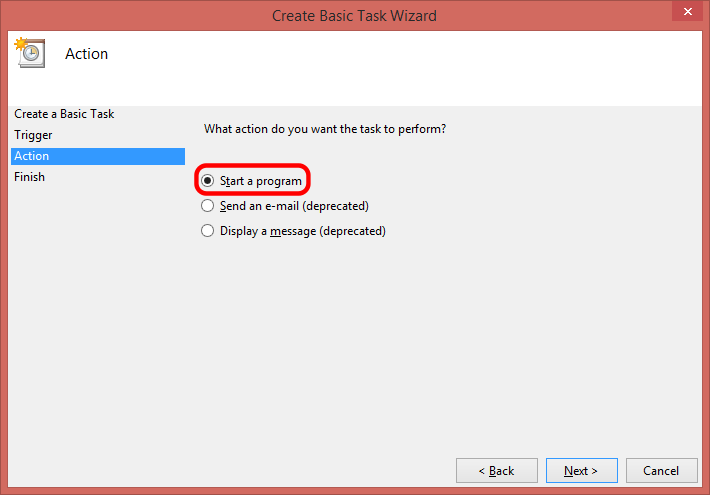 Make sure the Action is, "Start a program." The Program/Script will be "wrun32.exe" in the PMS software folder. In Start in (optional) you add the path to the PMS software folder. 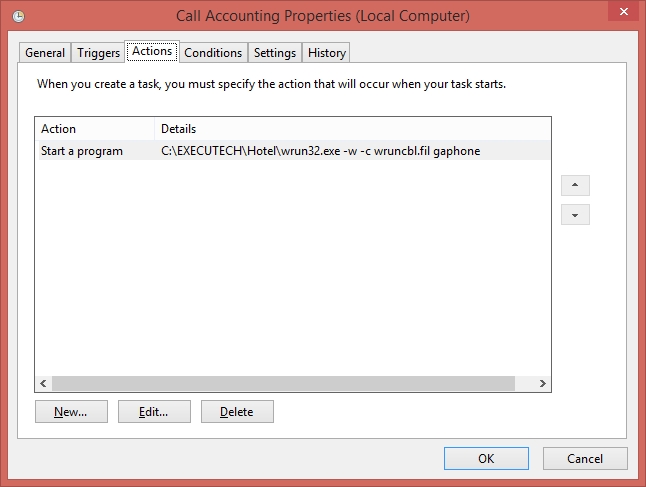 Make sure you check Open the Properties dialog for this task when I click Finish. 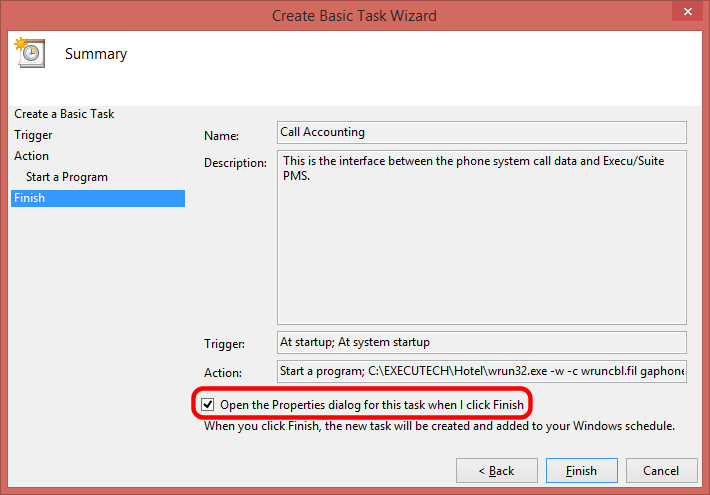 This ensures that the task always runs with the highest permissions. However, if an interface computer is being used, you must select a user that has full permissions to the PMS software folder. In the Triggers tab - Make sure these settings are correct. In the Actions tab - Make sure these settings are correct. In the Conditions tab - Make sure these settings are correct. In the Settings tab - Make sure these settings are correct. 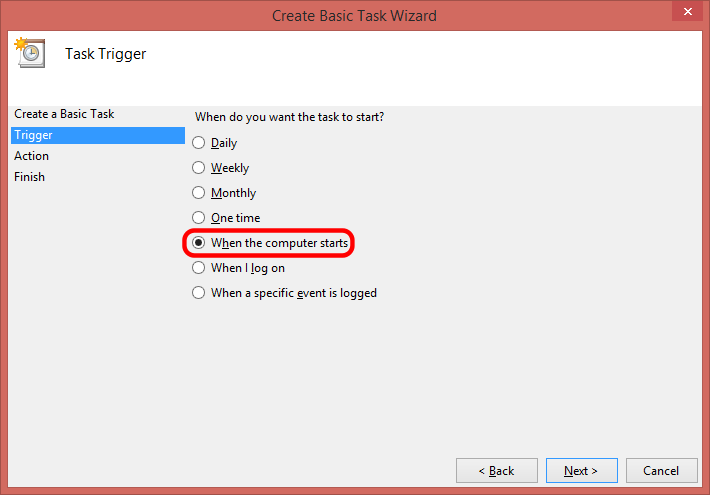 Uncheck the option Stop the task if it runs longer than. Click OK and you're finished. 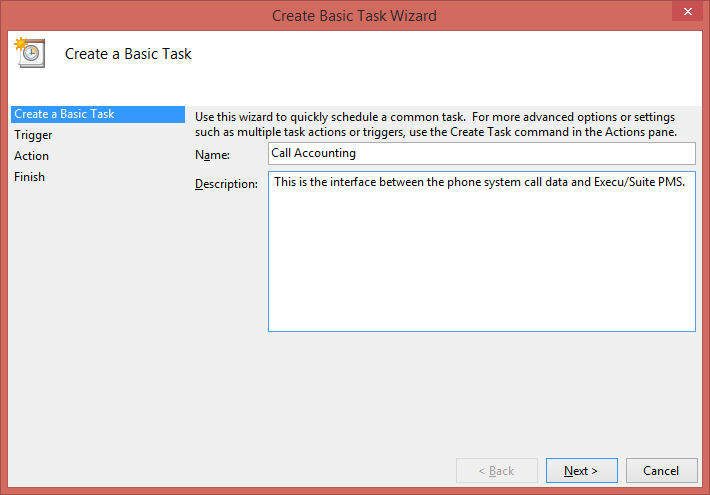 You can run the task manually or you can reboot and the task should start automatically.